Personal experience is just that: personal. Of course, any one personal experience is colored by all of our experiences that have gone before it and our worldview. Because of that, an archeologist might view Sillustani differently than a casual tourist, who might view it differently than a shaman. I am told that archeologists view Sillustani as an ancient burial site and view the chullpas there as simply tombs. From my personal experience, that point of view is like saying that homo sapiens is simply a species of mammal and this species tends to live in small groups. It isn’t wrong, but it is so incomplete that most of what is important is left out. Sillustani, which sits at about 13, 500 feet, is a peninsula on the shores of Lake Umayo, not far from Puno, Peru. On this peninsula can be found chullpas, ancient towers—some circular and others rectangular in shape—that do seem to have been used as tombs, but were also used as temples. 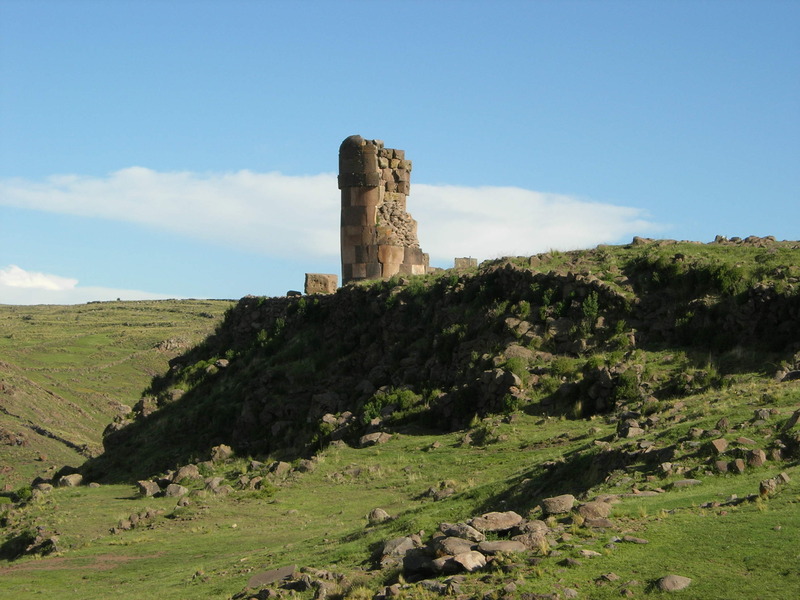 Just as the remains of popes and saints are buried at the Vatican, the remains of what can only be assumed were important people were buried at Sillustani. It is believed that the site was used by both Incan and pre-Incan peoples. Whatever the site was once used for, a few things are certain to me from an experiential standpoint: Sillustani is a power place; time and space seem to waver there, neither holding firm nor completely being lost; there is the feel of the sacred to the chullpas and to the land around them, and; the place feels as if it has been used to connect with the divine—and the star brothers—for eons. It may have been that my group had not been long in Peru and this was our first site visited as a group, but I’m inclined to think that it was the place itself that caused the group to move through the site in a hushed, reverent way. I believe that most people can tell, energetically, when they are in sacred space—even if they have little conscious access to the energy they are feeling. And when we are in sacred space, something in us gets very quiet, as if we instinctively know that we might hear the whisperings of God (Wiracocha). Sillustani is such a place. 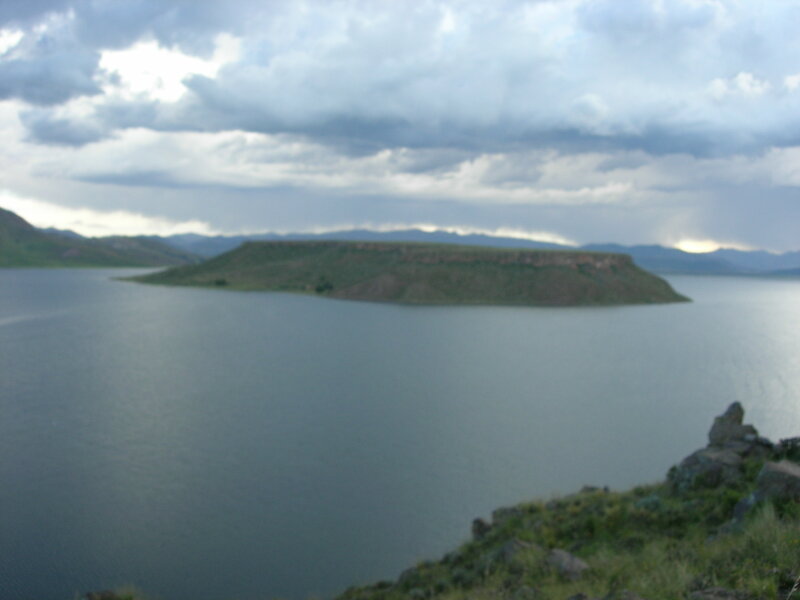 There is an island in the middle of Lake Umayo that is flat on the top and looks, for all the world, like a UFO landing site. In fact, many people have reported UFO sightings there. Jorge Luis had camped out on this island with others and assured us that there was magic to the place. Were the chullpas built on Sillustani because of Sillustani’s proximity to the island? Was the island a UFO magnet because of its proximity to Sillustani? Who knows? But I am certain that the relationship between island and chullpas is not simply coincidence. Sillustani set a certain tone for the work to come. We were on sacred ground and about to do sacred work. I could feel the support of the grandmothers and grandfathers. And I could feel that angels were lining up to help us.